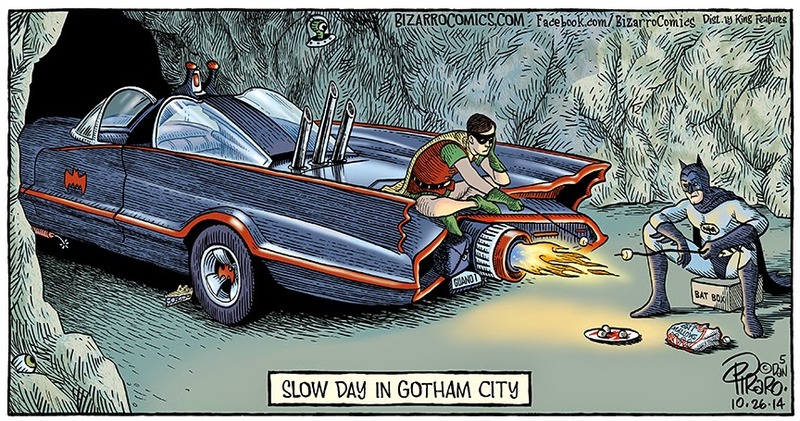 BAT - BLOG : BATMAN TOYS and COLLECTIBLES: #BATMAN HUMOR - BIZARRO Comic Strips by Dan Piraro! #BATMAN HUMOR - BIZARRO Comic Strips by Dan Piraro! 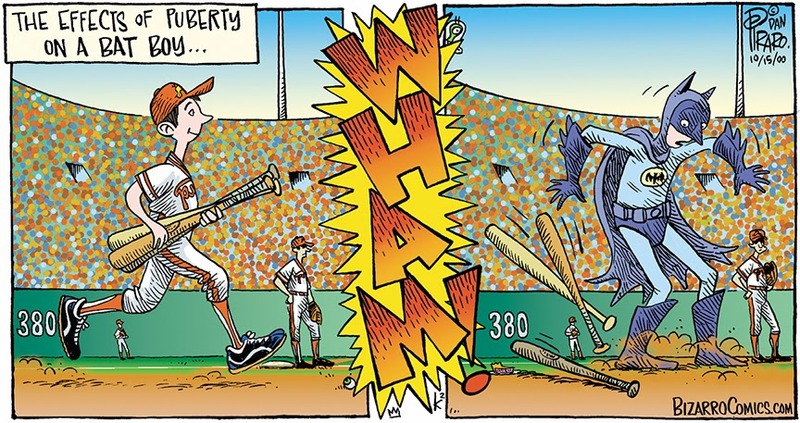 Here's a quick post to share these 2 totally funny Batman-related BIZARRO Comic Strips by Dan Piraro. I love the drawing of the 1966 Batmobile in the Bat-Cave! I know this Cartoonist HAS to be a major Batman Fan because he does a parody of this character every now and then. If you would like to read more of his strips you can just CLICK HERE!